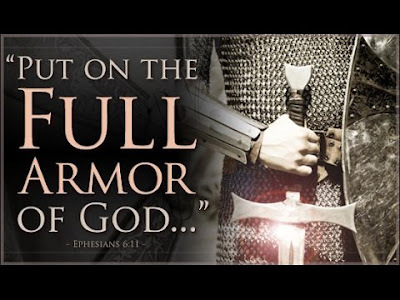 Today, we’re still talking about the armor of God — specifically the breastplate of righteousness and the gospel of peace. So how do we put on the breastplate? If we already have righteousness, why and how do we put it on? I like how The Voice translation puts Romans 6:16. What will be your master? Will it be sin—which will lead to certain death—or obedience— which will lead to a right and reconciled life? God gives righteousness to us when we become a Christian. But that’s just the beginning. We grow in righteousness by obeying God’s Word. That’s how we put on righteousness: to obey! I found the feet phrase the most difficult. I mean, how do you fit your feet with readiness? What does readiness even mean? So I went to The International Children’s Bible that put like this: on your feet, wear the Good News of peace to help you stand strong. We wear the Good News on our feet to help us stand firm. Roman soldiers wore cleat-like boots in battle for stability. Our peace with God through Jesus keeps us rooted during the trials of this life. Lord, help me to live according to your Word and stand firm in your peace.